In the fall of 2007, twenty-year-old Amanda Knox left the University of Washington to study abroad in Perugia, Italy. That November, Knox’s roommate – an English student named Meredith Kercher – was brutally murdered, and Knox and her Italian boyfriend, Raffaele Sollecito, became the prime suspects. Knox’s arrest made headlines around the world, but although I was vaguely aware of the case at the time, I did not follow the details of the investigation or Knox’s subsequent murder trial. Consequently, my only real knowledge of this tragic story was obtained through reading the words of Knox herself in her recent memoir, Waiting to Be Heard. The Kercher/Knox case has been the subject of numerous books, documentaries, and even a Lifetime movie, but this memoir marks the first time Knox has broken her silence about the ordeal. Knox begins her memoir with an overview of her upbringing and the events that led to her studying abroad in Italy. Knox portrays her younger self as quirky and naive, but also responsible, compassionate, and eager to expand her world view. Knox makes no attempt to gloss over some of the more embarrassing aspects of her pre-prison life: she is unflinchingly honest about her sexual promiscuity and marijuana use, but she asserts that this behavior was was no different – and often tamer – than that of her peers. The details of Knox’s investigation and ultimate trial are shocking. Rather than presuming Knox to be innocent until proven guilty, the Italian police seem to have arbitrarily pinned Knox as the culprit and then set out to build a case against her. Even after discovering incontrovertible evidence pointing to the guilt of another man – Rudy Guede – the prosecution seemed determined to incriminate Knox as well. Throughout the long trial, Knox remained optimistic that the lack of evidence against her would ultimately exonerate her, but two years after Kercher’s murder, Knox and her boyfriend were convicted of sexual assault and murder. They appealed, but it would be three years before a higher court would overturn the decision based on flawed DNA evidence. (Though it is not addressed in this memoir, Italy’s highest court has since overturned Knox’s acquittal. Italy does not prohibit double jeopardy, so a retrial is currently under way.) The mishandling of Knox’s trial serves as a powerful reminder of how fortunate we are to have a more conservative legal system here in the United States. During the four-year trial and appeal process, Knox was held under cautionary detention at the Capanne Prison in Perugia. Knox’s gripping account of her time in the Italian prisons is astonishing. Prison officials violated her privacy, stealing her diary and bugging her phone conversations, then leaking information to the press. At one point, a prison doctor falsely informed Knox that she had contracted HIV, a tactic likely done to coerce a confession out of her. One bright spot in Knox’s dark years of imprisonment was the unwavering support she received from her family, who upended their lives in the United States to be in Italy for the duration of Knox’s trial, as well as for the eight hours of visitation Knox had each month. Their intense loyalty is touching, as is Knox’s devotion to her family and her appreciation for their sacrificial support. After reading Knox’s memoir, I have to admit that I am not completely convinced of her innocence. I do not believe that she was directly responsible of Kercher’s murder, but her squeaky-clean version of events is filled with too many coincidences to ring true. While the Italian police’s mishandling of the case – not to mention their abhorrent treatment of Knox – is inexcusable, I cannot fault them for being suspicious of Knox’s behavior. Her wavering story and apparently flippant attitude toward Kercher’s death would have led me to question her innocence as well. After having been continually maligned by the Italian court system and subjected to intense scrutiny by the international media, I can understand Knox’s desire to absolve herself of any hint of guilt in the eyes of her readers, but her overzealous protestations of innocence left me wondering what she is trying to hide. 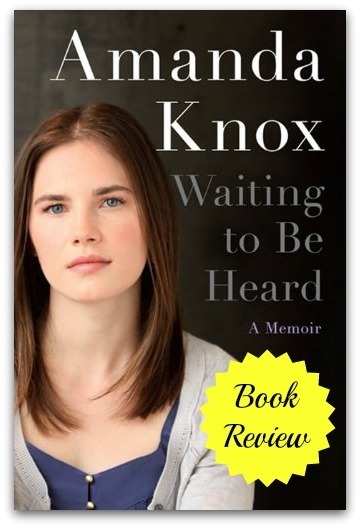 Another aspect of Knox’s memoir that comes across as insincere is her apparent acceptance of her harrowing experience, which seems almost too benevolent to be true. In a prison letter to her Mom, Knox once wrote, “The things that make us suffer, challenge us to be stronger, give us the opportunity to survive, be smarter, better.” I want to believe that Knox is better for having suffered, but I am skeptical. 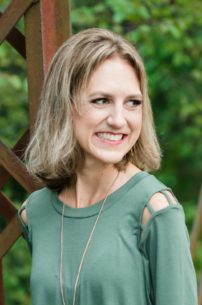 It is possible that the horrific ordeal Knox was forced to endure truly did serve to transform a naive coed into a mature, self-aware, and completely altruistic woman. It seems more likely, though, that this version of post-prison Knox is simply the image that Knox and her publishers want us to see. The fact that Knox worked with a ghost writer on this memoir, and that these words are not fully her own, further obscures our picture of who Knox was and who she has become. We may never know the full truth behind Meredith Kercher’s murder, but it was interesting to read one version of events from the woman who has waited for years for her story to be heard. Whether or not you believe in Knox’s innocence, if you have any interest at all in her case, this is a worthwhile read.